I was nominated by Robbie of Brave Turquoise to receive the Liebster award last month, thank you! I haven't participated in one of these things in forever but I'm feeling talkative so here goes. I have to answer the questions she left and share 11 random facts about myself so let's get into it. 2. What’s the strangest thing you want to do before you die? Hmm, I don't think I have anything strange, per say, that I want to do before I die. I just have A LOT of things I want to do. One big thing I want is my own scholarship fund for students of color to pursue degrees in the arts, the fund would eventually be able to send 1-4 students to a university or college for their art studies all 4 years. 3. What is one song that people would not expect you to know all/most of the words to? Any song by Rick Ross! 4. What was your favorite childhood TV show, or book if you didn’t watch TV? One of my favorites was The Muppet Babies because they would use their imagination to go on all kinds of adventures so my sisters and I learned the magic of how to use our own. I also loved Reading Rainbow because I loved reading and the show always shared new books for me to get from the library to read. Favorite books as a kid were hands down the Babysitters' Club series. I had a huge collection, almost every book, and because of them I couldn't wait to be old enough to babysit. Some friends and I even created our own neighborhood babysitters' club when we were old enough to. 5. 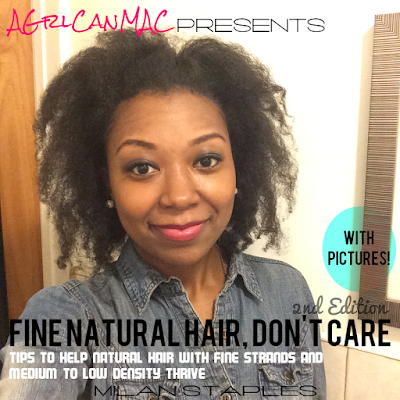 If there were no repercussions (loosened curl pattern, strange looks from your boss), what’s one color you would want to dye your hair? I'd be a red head for sure! I hate pigeons. They creep me out to the core. I live in a city where there are tons of them almost everywhere. Smart move, Milan. When I was a kid one of the things I wanted to be when I grew up was a marine biologist. I love dolphins. I also love the stars and wanted to be an astronomer and work for NASA. When I was about 10 or 11, I got selected from the crowd to pet a dolphin. I love old Hollywood and vintage black glamour. I love the hair, makeup and classic chic style everyone possessed, they were sharp. Everyone, including the men, looked great rather they had a little or a lot. Dorothy Dandridge is my favorite actress and favorite black beauty icon. Selena is one of my favorite singers. I didn't know who she was until after her death and the movie came out. Sometimes, I sleep with my eyes open. My sister and my father do it sometimes too. In my middle school and high school years, I practiced Taekwondo and loved it. I went to a tournament and won a silver metal. Though I am very artsy and creative, I can also be very analytical and enjoy reading and talking about personal finance and money. I was unemployed at one time for almost 2 years. Though it was a roller coaster experience, I was living off of unemployment in one of the most expensive cities in the world and had a blast. 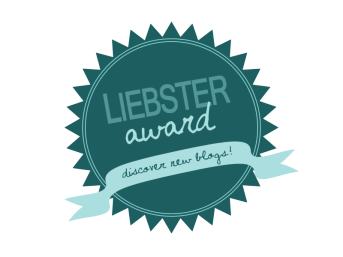 Display the Liebster Award on your blog/post. Nominate 5-11 other bloggers that have less than 1000 subscribers. Inform your nominees and comment on their blog to let them know you nominated them. If you could live another country else besides the one you live in now, where would you choose and why? Share a favorite memory you have. Share a phrase your elders used to say that didn't make any sense to you until you were older. Thanks for nominating me, Brave Turquoise!